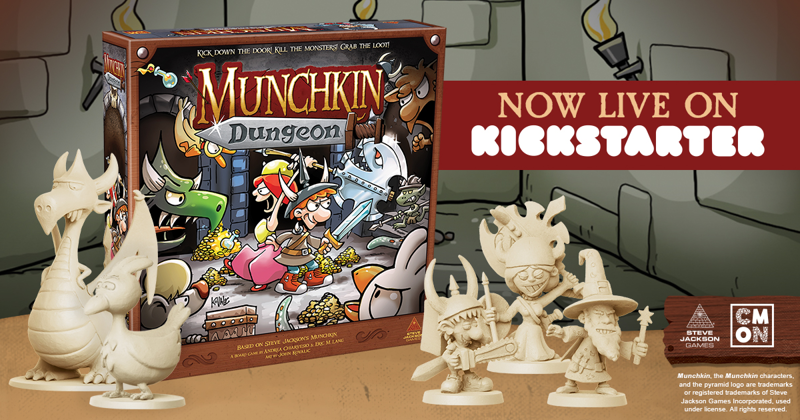 Daily Illuminator: CMON's Munchkin Dungeon Closes Today! February 18, 2019: CMON's Munchkin Dungeon Closes Today! Munchkin Dungeon is officially the most-supported Munchkin project to ever hit Kickstarter, and we're looking forward to watching CMON take the game from your crowdfunded dreams to the game table. They've got lots of experience at creating incredible miniatures, and their interpretation of the Munchkin characters and monsters is proving that they're the masters at transforming 2D designs into 3D beauties. Please check out and join the project today! Munchkin Dungeon is a monster of a game, and your support in these final hours can help add even more to the Munchkin Dungeon line.